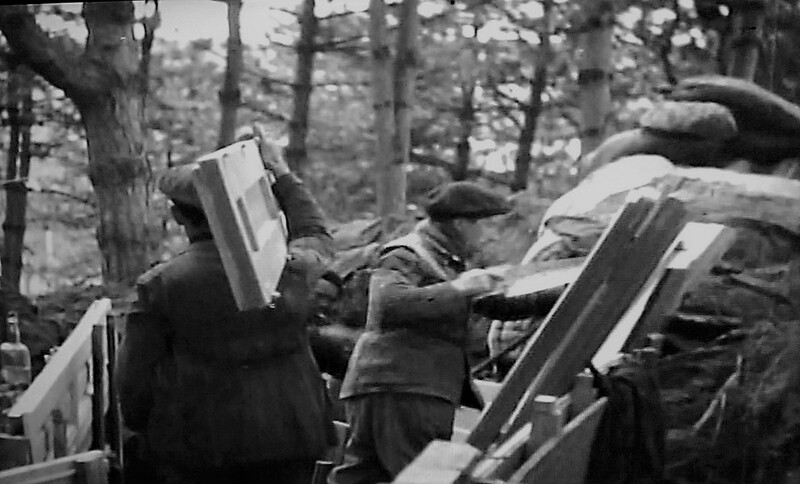 The film footage alone makes The Spanish Earth (1937), Joris Ivens' 52 minute film shot during the Spanish Civil War (1936-1939), a priceless work. Ivens (1898-1989) was assisted by film editor Helen van Dongen (1909-2006); both were Dutch. 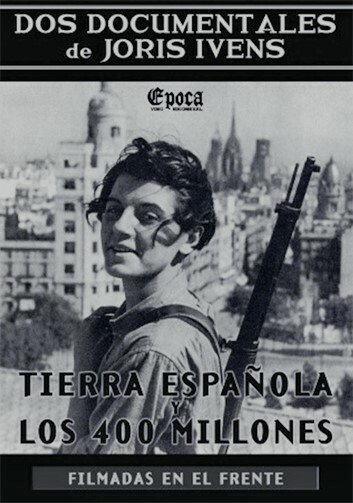 The intent of this charged documentary was to garner American support for the Spanish Republic, then under violent assault by Nazi (Hitler and German) and fascist (Mussolini and Italian) forces fighting alongside Francisco Franco's Spanish rebels. Several prominent American writers assisted with writing, narration and distribution. These included: Archibald Macleish (who became the Librarian of Congress in 1939), Lillian Hellman, John Dos Passos, Ernest Hemingway and Orson Welles. There are multiple versions of The Spanish Earth, each with a different narrator. I've only seen the one narrated by Orson Welles. Because Welles' voice was considered "too cultured" for the average American, Hemingway did another, gruffer version. In French, Jean Renoir delivered yet another variation. The script for the narration is so-so, and the music intrusive and horrid about 80% of the time, but overall the film is wild and absorbing. The defenses of Madrid. Doors from blasted buildings are put to use as support for trenches and earthworks. Battle for Madrid. 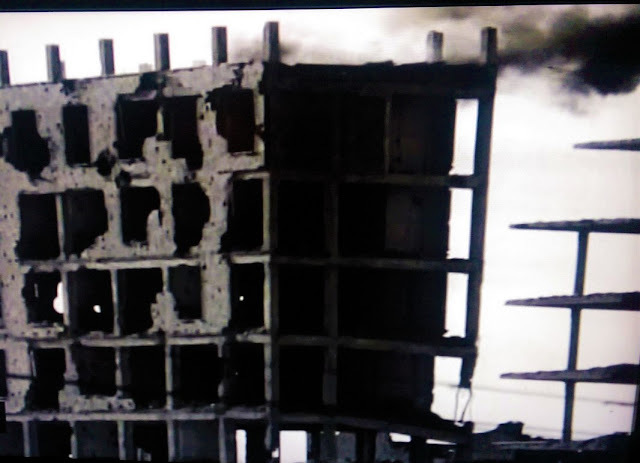 Fierce fighting right inside the city. Similarly stark imagery will reappear in Stanley Kubrick's Paths of Glory (1957) and Full Metal Jacket (1987) as "the Anthill" and Huế. In 1937, the majority of the people of Barcelona and Madrid fought on the same side against fascism. It's sad to see, eighty years later and more than forty years after Franco's death, Catalonia and Madrid at loggerheads. But such is life. odd how Spain wanted freedom from fascism, eventually came to a republic but now want to crush the Catalonia's. appropriate, giving what is going on in Spain right now.